The Bilarong Reserve is located off Wakehurst Parkway next to Narrabeen Lake in North Narrabeen. 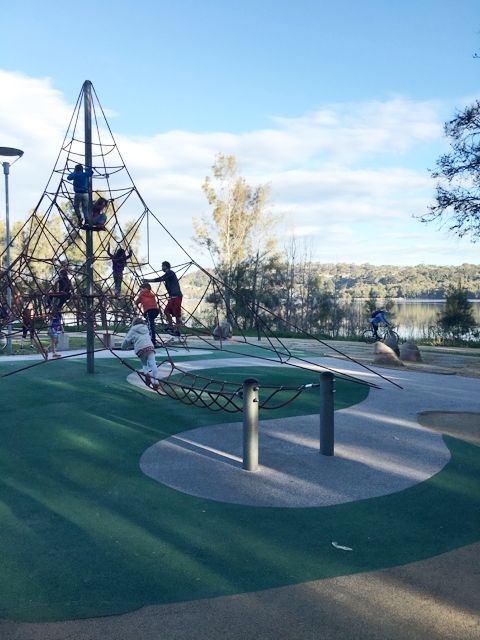 It is a great reserve for families to have a picnic, go for a short or long stroll, play in the playground, play in the sandpit or play games in the grass area nearby. We liked the sculptures near the sandpit, the climbing structure and the toddler's playground during our last visit. The playground could do with a few swings for older kids as well as additional springers and some additional equipment in the toddler's playground but it is still a good playground.